A student of the Asian Institute of Technology (AIT), Hayat Ullah, has been awarded the 2017 International Plant Nutrition Institute (IPNI) Scholar Award. 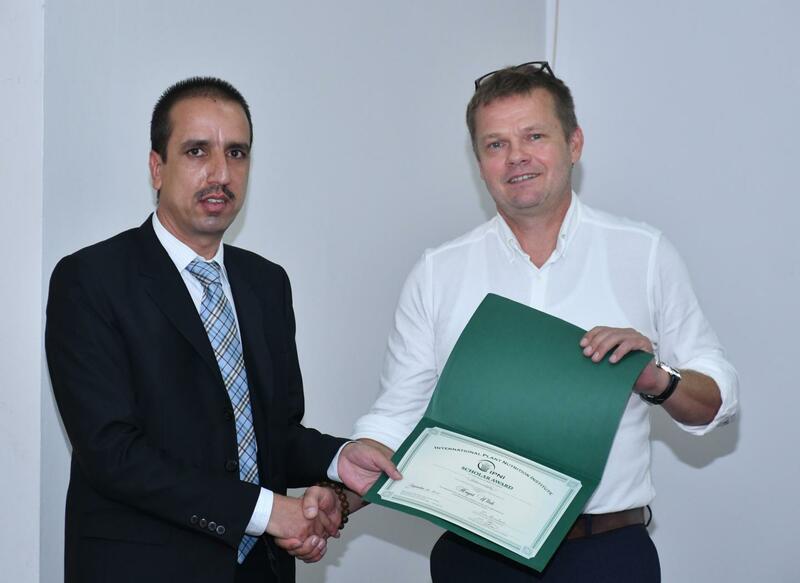 Hayat Ullah received the award certificate from Dr.Thomas Oberthür, Director, IPNI (Southeast Asia Program) at a function organized at AIT on 9 August 2018. Conferring the award, Dr. Thomas Oberthür complimented Hayat Ullah stating that the award is competitive as the submissions undergo a rigorous review and selection process. Elaborating on IPNI, he stated that they are a science-based organization dedicated to the responsible management of plant nutrition. The "4R" framework at IPNI suggests application of the 'right' amount of nutrients at the right' time, at the 'right' place, and from the 'right' source. Hayat Ullah is among 37 graduate students, representing 20 countries, who were chosen to receive the award, and he is the only awardee from Southeast Asia. Mr. Hayat Ullah is working on his Ph.D. on the topic "Evaluation of Different Nutrient Management Strategies for Rice Cultivation in the Context of Decreasing Water Availability" at AIT. The award includes a certificate as well as a cash award of $2000. While awarding, IPNI stated that Hayat's research was designed" to evaluate different possible nutrient management strategies for rice, a staple food in Asia, under different water saving cultivation techniques." One of his goals for the future is to meet an expanding demand for plant health management specialists to promote food security and food safety on a global scale, the statement by IPNI added.